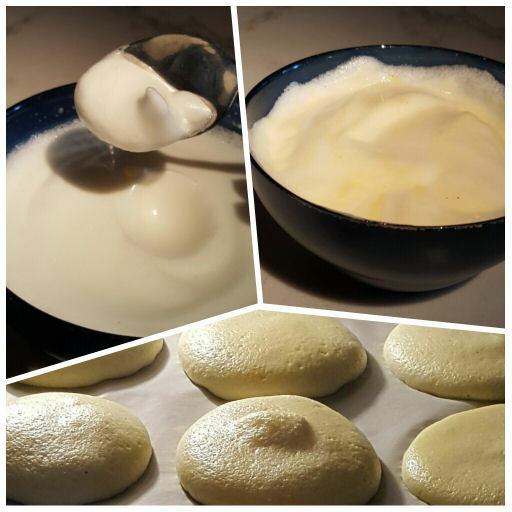 This No-Carb Cloud Bread Recipe Only Uses 4 Ingredients! I. LOVE. BREAD! There, I said it! Like Oprah, I can’t get enough of the stuff! 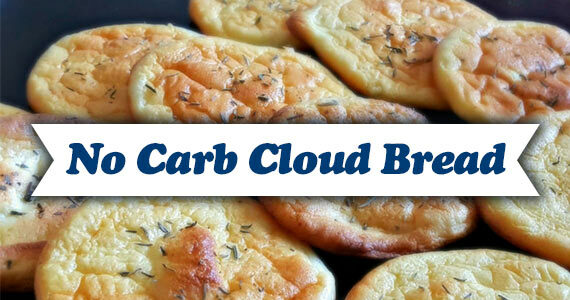 But I know that too many carbs are not good for me, which is why I love this Cloud Bread! It has the taste of bread, and definitely satisfies like bread, but it has ZERO carbs! Nope, it’s not magic. You can use this bread as hamburger buns, sandwich bread, or even toast! (YES – you can toast this bread! )Try a slice of tomato and melted mozzarella on top or with a piece of smoked salmon and cream cheese. Yum! Remove from the oven and let cool and enjoy!